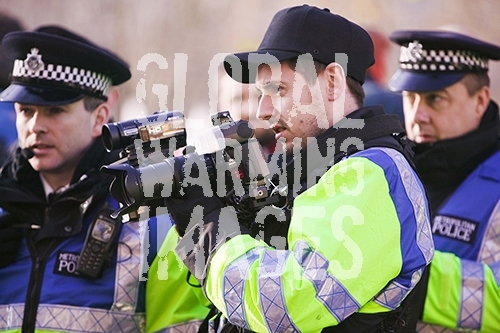 A police photographer, documenting protestors at a climate change rally in London December 2008. They obviously think protesting against climate change is some sort of crime against the state, and these dangerous criminals need to be identified. As the police are protecting big business and vested interests, begs the question, who are the criminals here.